TR Crandall Guitars has packed up and moved away from its storefront on 179 E. Third St. between Avenue A and Avenue B, EVG regular Salim reports. 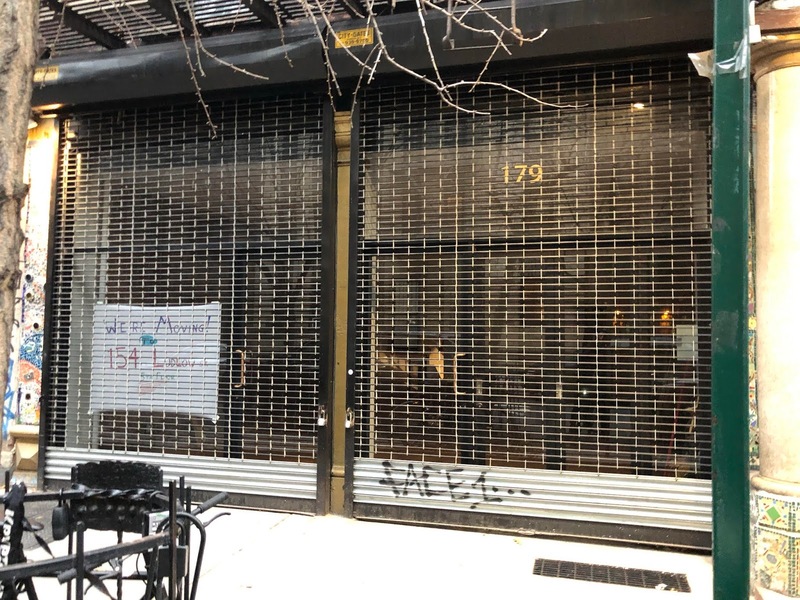 The seller and repairer of vintage guitars (and banjos, mandolins and ukuleles) will reopen soon not too far away — 154 Ludlow St. (fifth floor) between Stanton and Rivington. You can check out the shop's Instagram account for the exact reopening date in their new home. TR Crandall Guitars, featuring a repair shop with master craftsman Tom Crandall, opened on Third Street in the spring of 2013. In a few short years, this has become the best guitar store and repair shop in the city, especially for vintage stuff and acoustics, along with 30th St Guitars for utilitarian stuff. I think the move is just to give the more space.